Straight off the catwalk. A stylish little fashion accessory to knit now! 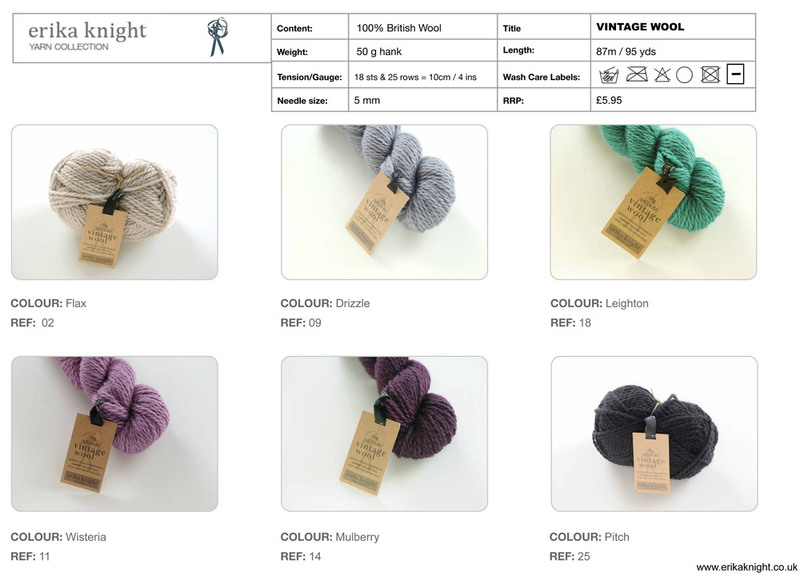 Taking just one hank of Erika Knight Vintage Wool, this little project is perfect to practise or learn to knit cable stitch. Ready to wear tomorrow! A fresh look at edging stitches. Update your accessories with this attractive crochet edge worked in Erika Knight Vintage Wool, a beautiful 100% British wool with a retro 'twist' to give a charming old fashioned appearance. Make a long length and wrap several times around the neck.